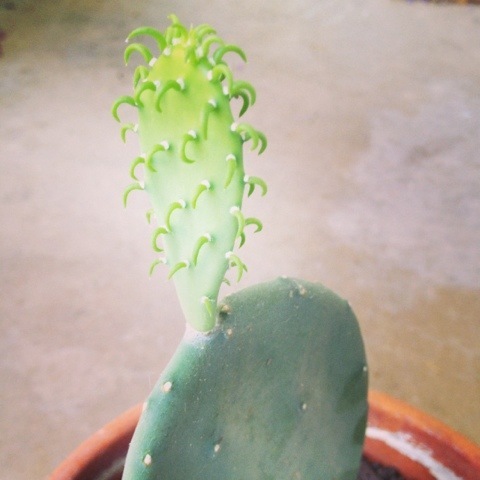 The little cactus sproutling that I thought was going to be a blossom turned out to be a little baby cactus! I’m way more excited about this than any normal person should be. That’s so cute! It almost looks like a sea creature. I would be just as stoked!! I’ve never seen that before, amazing!